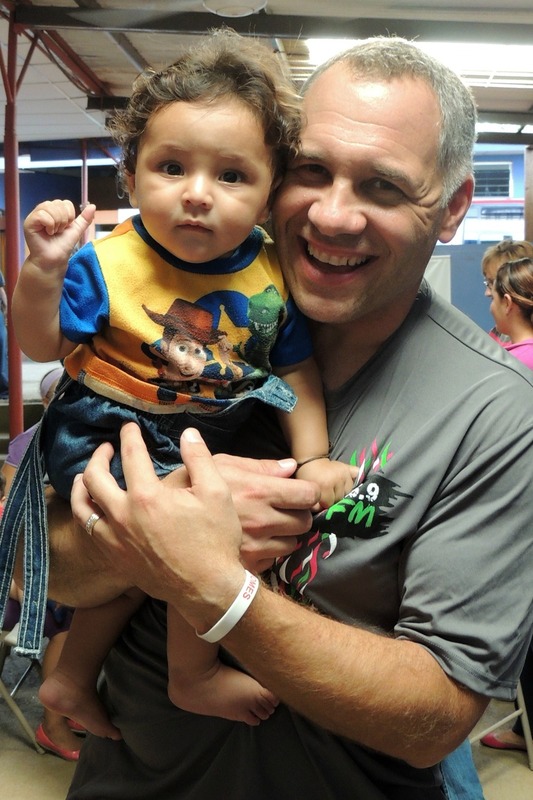 Are you traveling on a short-term mission trip in 2015? If yes, this post is for you! 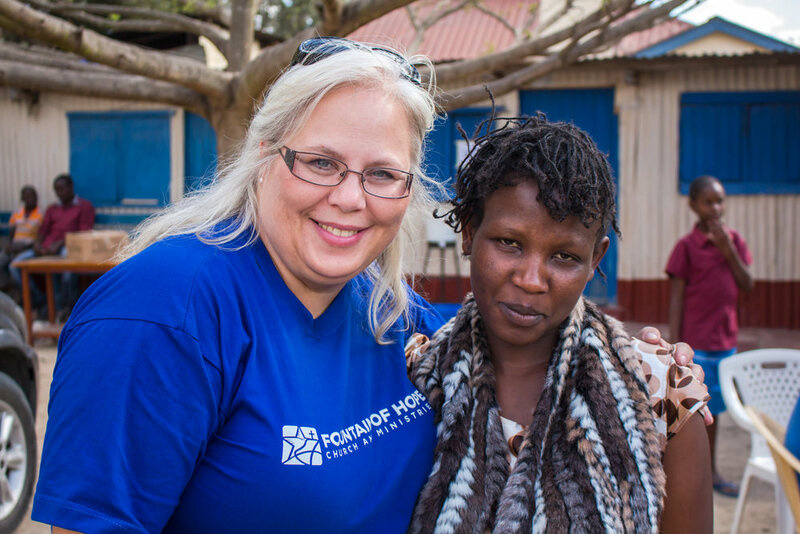 I write with a heart full of anticipation for the 25+ trips World Orphans will send this year. Our desire is to mobilize teams onto the mission field to equip, inspire and mobilize the church to wholistically care for orphans and vulnerable children. If your heart is ready to engage first-hand in international orphan care, we hope you will join us on a C2C Partnership Trip or a Journey Trip! Abraham Lincoln said, “Give me six hours to chop down a tree and I will spend the first four sharpening the axe.” Before you travel on a short-term mission trip, take time to prepare. Prepare wholistically: physically, mentally, emotionally and spiritually. The following tips will help with this, but be mindful that how you prepare matters. As North Americans, we have a wonderful can-do spirit! No mountain too high, no valley too low (to keep me from gettin’ to you babe). 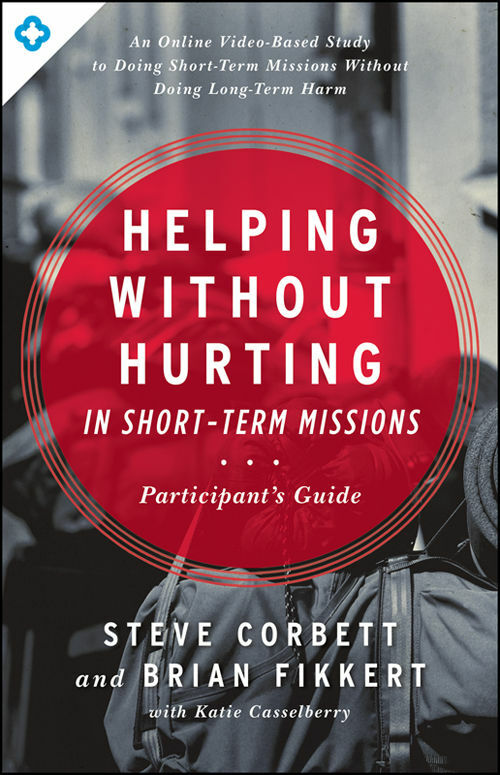 But seriously, all the grit and determination in the world will not produce the fruit of a well-prepared short-term missionary. Better yet, be a fish in water. Check out the history and culture of those you are visiting. Understand the years of experiences that have brought them to today. Study the social do’s and don’ts, practice simple language phrases, and take a look at any past influences of missions and religion on the people group you’re visiting. This is key whether you are traveling down the street or thousands of miles overseas. Ask questions like, “Will my tattoo offend anyone?”, “How will I greet people?”, “What type of dress is appropriate and will show respect?”, “Which religion is most prevalent?”. It doesn’t need to be a research paper and chances are you won’t know it all by the time you go, but a simple, consistent study of who you are ministering to will provide a deeper lens of understanding as you travel. When traveling as a short-term missionary, you are a visitor. You, more than likely, did not grow up in the same neighborhood, may not speak the same native language, and have not had the same life experiences as those you are visiting. Naturally, then, you may not have all the answers. In Something Wicked This Way Comes, Ray Bradbury says, “… how we get our fingers in each other's clay. That's friendship, each playing the potter to see what shapes we can make of each other.” This is both startling, yet at times very true. Minister with a humble heart. Ask first, “What can I learn?”, instead of, “What can I teach?”. Understand that, “We are the clay, and [God is] the potter. We all are formed by [His] hand” (Isaiah 64:8). Go, knowing confidently that our principle purpose is to love (Matthew 22:37-40). As you travel, love in word and deed, and then just sit back and watch the Father’s mighty hand use your feeble efforts to draw men unto Himself. I packed up and headed to Nicaragua with World Orphans in 2011 on a weeklong C2C partnership trip. About halfway through the week, a terrible “bug” entered my system and I spent the next 24 hours wrapped around a toilet. Needless to say, for the remainder of the trip the delicious beans and rice that I had enjoyed no longer sounded so good. Man was I thankful that a teammate had packed granola bars!!! My point is, pack well and pack early. Ask the organization or leader you are traveling with for a list of items that are essential. World Orphans offers a list, as do many other organizations. If all else fails do a quick online search. Pack your bags and set them aside a few days in advance, giving yourself plenty of time to think through the forgotten. Packing early and packing well will help ensure you are ready for work, for play, for fellowship, and for the unexpected. The prior leads me to this important preparation tip: the clothes you wear matter. Be thoughtful as you pack to take clothes that are culturally appropriate (for where you are going), suitable for your trip activities, and clothes that communicate respect for those you are visiting. Consider whether women in the culture wear long skirts as everyday-wear, or if the men wear only a suit and tie to church. What are the cultural norms? Don’t throw your dingy shorts and t-shirts in your bag just to keep your nice clothes “safe”. Stop and consider that what you wear needs to not only be suited for what you will do, but also that what you wear will communicate something to those you meet. Meaning, your clothes can communicate respect, disrespect, dignity, etc. Often how we look and act (what is seen) will have equally as much impact, if not more, than what we say (what is heard). Team dynamics can often make or break a trip. Often, especially if you are traveling internationally, your team is the best form of support as you become vulnerable to the new and uncertain. Take time before you travel to get to know your team, to pray for each other, and to serve together. Your teammates are among those that God is calling you to learn with and from as you travel. Keep in mind: this is whom you will be ministering alongside, ministering to, and who will minister to you. You will not make a VBS or medical clinic successful alone. Learn each other’s joys, fears, strengths and weaknesses, and how to encourage and build one another up in Christ before you go; then watch as your team hits the ground running on-field (I Thessalonians 5:11). Before you leave, begin to journal. This may not be the most natural thing for some, but it is rewarding. If this sounds overwhelming, seek out your leader for suggestions on where to start or a guided journal that includes daily Scripture readings and thoughts for reflection. A journal I found most helpful encouraged me to start with the five senses: what’s something that you smelled, heard, touched, tasted, or saw that stood out to you? Obviously some of these will make more sense as you continue journaling on-field, but it’s an easy place to start. “Journal writing is a voyage to the interior” (Christine Baldwin). As you place thoughts on paper, it often allows you to see your heart more clearly. Write what the Lord is teaching you or where he is guiding your thoughts to help memorialize this time of preparation, setting in stone (just as Israel did) lessons He may be teaching you, Scripture for encouragement and even life-changing realizations. As you head into your trip, you carry with you a set of expectations and assumptions, whether you realize it or not. “An expectation is something we’re planning on, looking forward to, or regard as likely to happen. An assumption is something taken for granted. Expectations are stabilizing and motivation factors when they are communicated and understood by the appropriate parties. They are dangerous and potentially deadly when they are assumed. 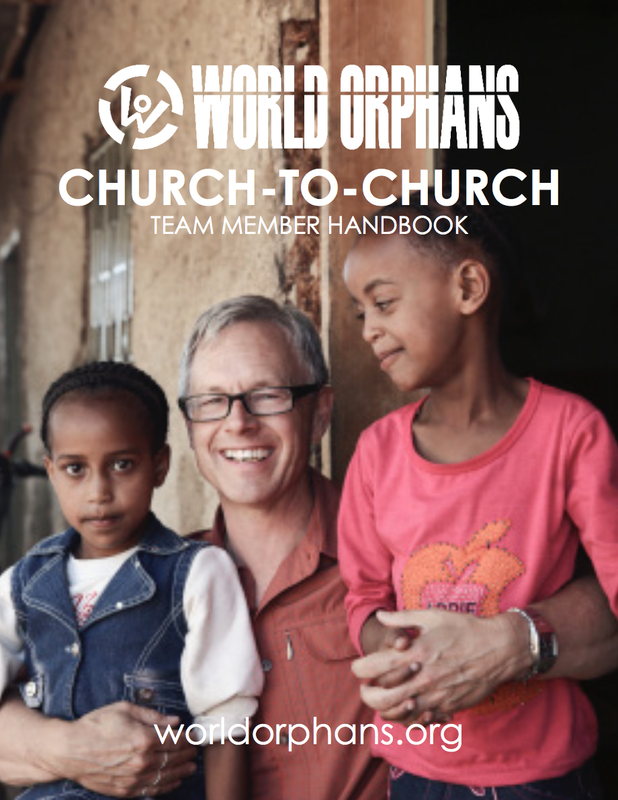 Unrealistic expectations and assumptions not based on fact are a major source of missionary stress and contribute to a host of problems and misunderstandings” (World Orphans Team Leader Handbook). Make a list of all the expectations and assumptions you have about your trip. Look them over with your team and/or leader and take an honest look at which ones are realistic and which ones may be setting you up for disappointment before you leave on your trip. There are certain goals and objectives that you and your team have as you travel. But think beyond this before you go. There is an even greater purpose to why the organization or church is sending and/or hosting you and your team, as there is purpose both in your trip and beyond your trip. For example: the purpose of World Orphans Church Partnership trips is to strengthen church partnerships by enabling churches to build relationships and serve together in a mutually beneficial capacity. While the immediate purpose of some teams is to host a medical clinic, pray with families or help provide family care packs, the overarching purpose of the trip is to strengthen and deepen the core relationship between the US and international church in their commitment to care together for orphaned and vulnerable kids. Understanding this bigger picture before you travel will strengthen your impact both on and beyond your team’s short-term trip. Important disclaimer: “Prayer is not monologue, but dialogue. God’s voice in response to mine is its most essential part” (Andrew Murray). Be careful not just to speak, but also to listen as you spend time on your knees with the Lord. Bring on 2015!! May God be glorified through each short-term mission that takes place! I wish you the best and implore you to stop and prepare well. May we all take advice from the great President Lincoln: remember to sharpen your axe before you try to cut down that tree! If you were to add an 11th tip, what would it be?